This work is licensed under a Creative Commons Attribution-Noncommerical-Share Alike 3.0 Unported License. 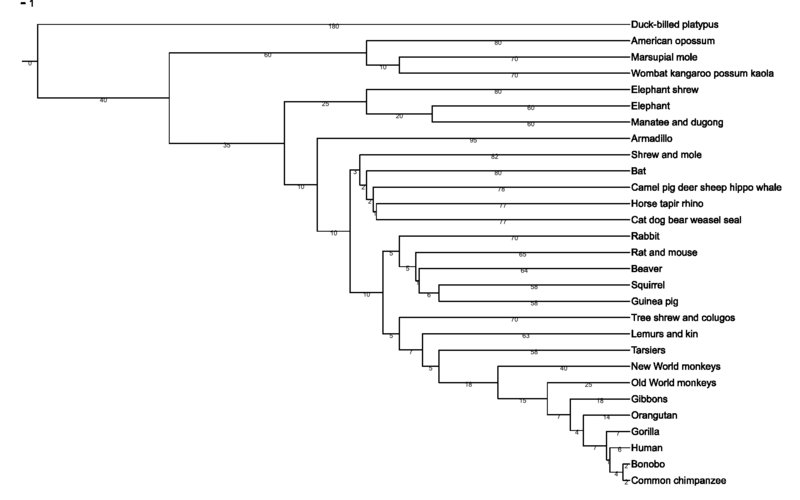 Spermophilus tridecemlineatus is placed under the squirrel category in this mammalian phylogenetic tree based on morphalogical similar characteristsics. 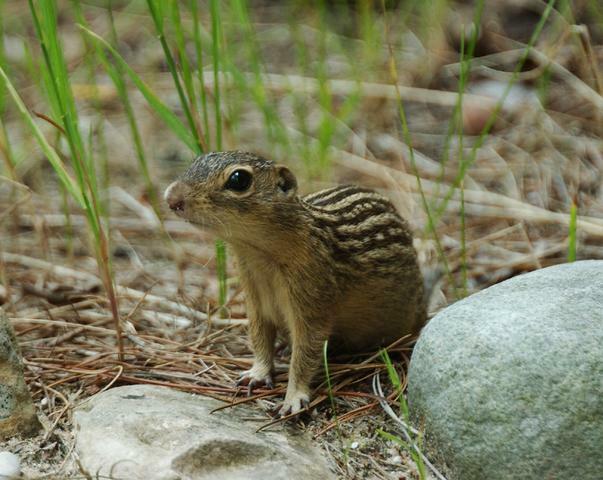 The closest related mammal to the squirrel is the guinea pig and the second closest mammal is the beaver. The duck-billed platypus is the furthers relative based on this phylogenetic tree. Illustrated in this phylogenetic tree is genetic relationships between the four squirrel species Cynomys, Spermophilus, Marmota, Ammosperm. The cytochrome-b gene from each genus was analyzed and compared. Spermophilus tridecemlienatus's closest squirrel relative, as pictured, is Spermophilus mexicanus as illustrated in this phylogenetic tree that analyzed cytochrome-b gene.